You can't go wrong with picking an award-winning boat for your holiday! 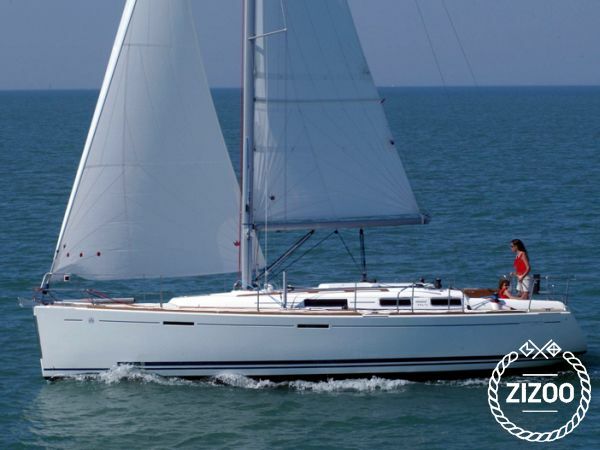 Dufour 365 GL won the Boat of the Year Voile Magazine award in 2005. Tatomir still justifies the title, and she is even a bit younger - built in 2007. You will love staying onboard this pretty little thing, and even though she doesn't seem big, her interior will surprise you. 3 double cabins and the saloon sleep the total of 8, and the large cockpit will comfortably seat all of you while you cruise around islands, or sit together to share a story or two over the evening meal. Bimini and sprayhood provide shade during your lunch and swim stops, so hoist her sails to find that perfect little cove all to yourself. Central Adriatic is a popular sailing area, but there are so many islands scattered around that it won't be a problem finding a place to drop the anchor in. And, of course, local cuisine and wines are just to die for!